As I mentioned recently I am now using Postbox for my email. One of the things I was a little slow on was doing a nice signature. So here is some help for anyone that needs it. 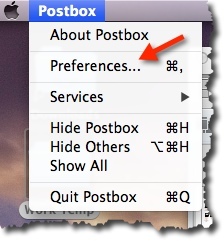 Start with the Postbox preferences. Now we look for Composition and follow that with Signatures. 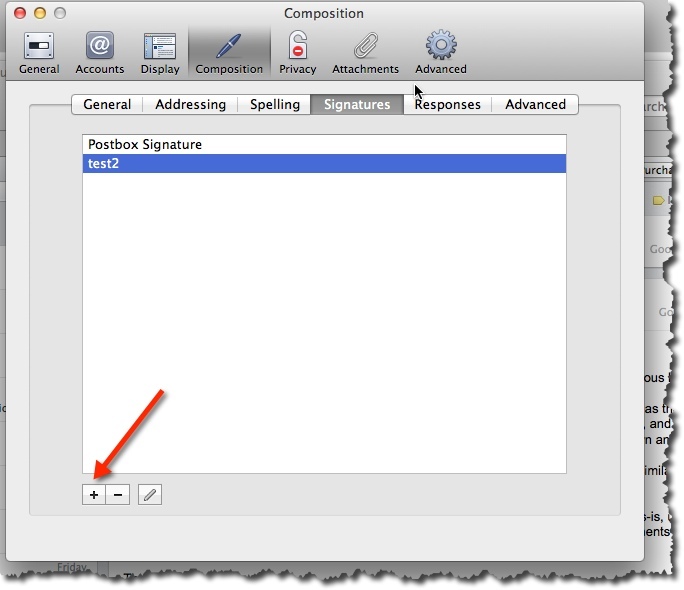 As you can see above, you can use the + button to start a new signature. Once you do that you will see something like below. Now you can enter in text to make your signature. But, I wanted something a little nicer. So use the HTML button – which is seen above (don’t forget you can click on the images for a bigger version). It will likely not work for you. 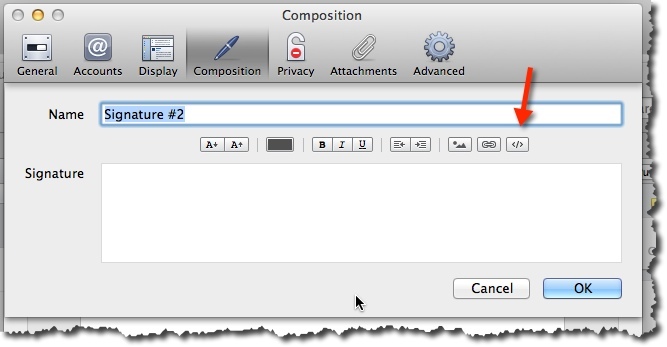 It will only work – meaning show you a popup dialog if you first click in the signature space and than hit that button. If it works you will see something like below. Now I suggest you build out something in an editor so it works a little better for you. I use Sublime and I show you here a screenshot of what works for me. 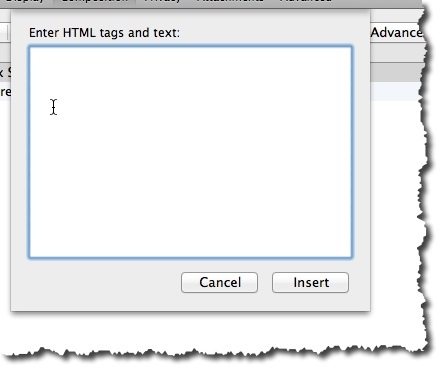 If you know HTML you are better off than me. However you can see a few things to help. For example <br> is carriage return, and you can use my information as a guide. BTW what this will look like after you copy and paste it into the Postbox HTML screen is seen below. Note how it is called Postbox Signature? 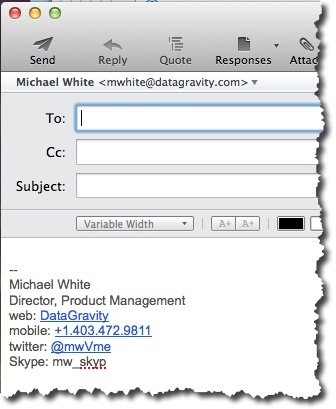 That means it will be shown by default in your email. You now have a nice signature. I hope that this helped. You can find background information that helped me here if you need more info. I needed easy, and I wanted managed. So I found there was only two choices – TypePad and WordPress. I have used both now, and I have settled on WordPress. Quite happy with it.